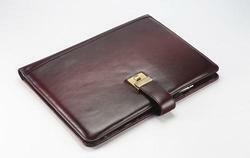 Our company is widely appreciated for providing Leather Envelope Pouch to the clients. This product is manufactured using quality tested raw material with the help of latest machines. Offered range is strictly checked on various quality parameters. It has got enthralling design and can be availed at suitable price. - Size (In Inches): 5" x 7"
The wide range of Utility Gift Items offered by us is a perfect gift for corporate and executive purposes. 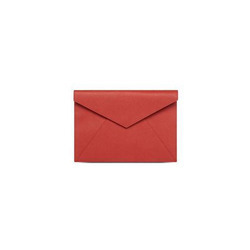 This Leather Envelope is made of leather cloth and is decorated with stones which has an extraordinary look and finish and is especially designed for wedding gifts for gifting.